While traveling in Thailand you have probably noticed that it is very normal to have big & small markets right along the so called highways. Every province or area has it special markets with products from the area. 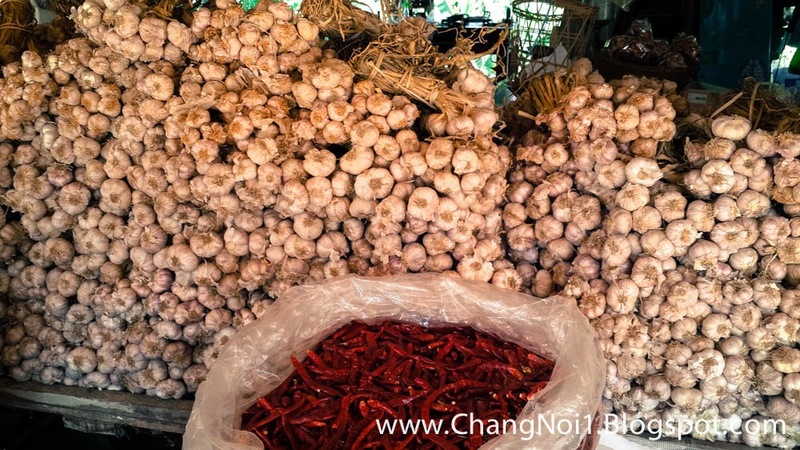 Like in Den Chai you will see wood product and in just north of Uttaradit is a market where they only sell garlic and onion. Well and red hot chilli's. A specialty from the local area.